When we realise that the Lord is all we have, we realise that we have all that we need. 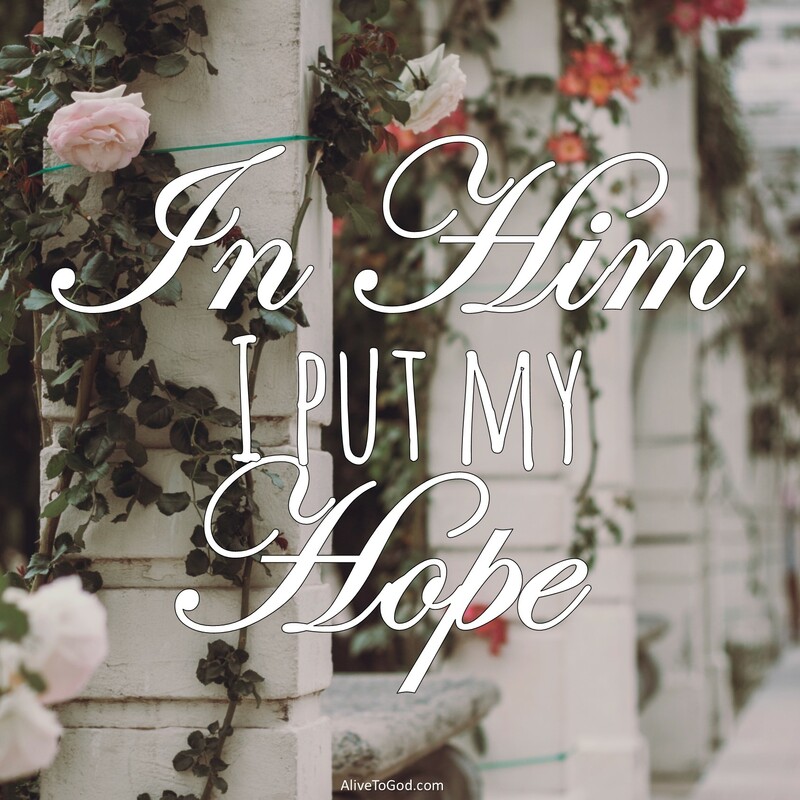 Don’t put your hope in other things, put your hope in Him. For this reason you can have hope and be filled with confidence. Prayer: Lord, You are my Alpha and Omega. You are my beginning and my end. All of my hope and confidence is in You and I look to You for everything that I need. Amen. Wanneer ons besef dat die Here al is wat ons het, dan besef ons dat ons alles het wat ons nodig het. Moenie jou hoop op ander dinge plaas nie, plaas jou hoop op Hom. Daarom kan jy hoop hê en met vertroue gevul wees. Gebed: Vader, U is my Alfa en Omega. U is my begin en my einde. Al my hoop en vertroue is in U gevestig en ek maak staat op U vir alles wat ek nodig het. Amen. Cuando nos damos cuenta de que el Señor es todo lo que tenemos, también nos damos cuenta de que Él es todo lo que necesitamos. No pongas tu esperanza en otras cosas, sólo en Él. Por esto, puedes tener esperanza y llenarte de confianza. Oración: Señor, Tú eres el Alfa y el Omega. Eres mi principio y mi final. Toda mi esperanza y mi confianza están en Ti, y te busco para todas mis necesidades. Amén. Prière: Seigneur,Tu es mon Alpha et Omega.Tu es mon commencement et ma fin.Je met tout mon espoir et toute ma confiance en Toi et, je compte sur Toi pour tout ce dont j’ai besoin. Amen!